Campsites and Holiday Parks that have a facility to launch a boat. Please check with the campsite or holiday park as some launch facilities can accommodate larger boats, whilst others are simply a place to lift canoes in and out of the water. Rushbanks Farm Caravan and Camping Site is set in the heart of Dedham Vale, an area of Outstanding Natural Beauty, immortalised by the famous paintings of John Constable. Not far from Lake Bala in Wales is Tyn Cornel Camping.  Tents, glamping, motorhomes, and caravans. Campfires allowed. Stay on the shores of Ullswater in the Lake District at Waterside House Campsite. Aberafon is on the North Wales coast right next to the see, complete with boat launch and campfires on the beach. Fancy staying in a caravan park with it's own private beach? Perhaps launch your own boat? Then check out Sandgreen Caravan Park in Scotland.